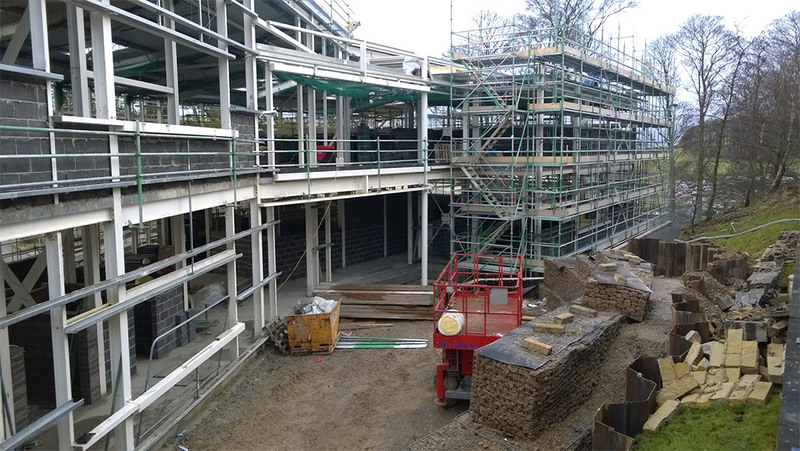 Work is continuing to complete the new Construction and Engineering Facility at Craven College ready for student use in August 2015. The eco-friendly, built to achieve a BREEAM ‘excellent’ rating, building will contribute in reducing the College’s carbon footprint and its longer term operating costs; maximising future funding to be allocated for teaching and learning. The project is part of an exciting £6.2m series of developments designed to provide first class new and refurbished accommodation for staff and students. The project further consolidates the College on the Aireville site to ensure that even more students have the opportunity to easily access the full range of College services and resources. The existing Whernside building will be refurbished to provide a modern and exciting learning and social spaces. A Learning Resource Centre will bring the student services together alongside the Enterprise Zone and a Shop. The Hub building will be refurbished to provide an all new fitness suite, showers, changing rooms, and a Sports Science laboratory.